Fairway bunkers to the right and to the left define the straight-forward first. 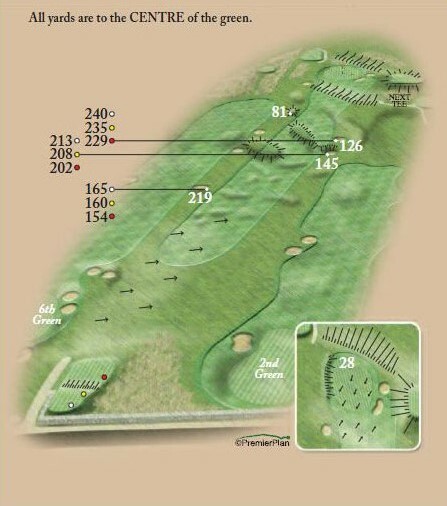 A good drive leaves a short iron to a large blind green guarded by two bunkers to the right of the green and a small one to the left. Whilst waiting to tee off check the flag position on the 5th green to your left and the 2nd green on your right.